Servicing Puget Sound, King County, Pierce County, Snohomish County, Whidbey Island and many others! Seattle Moss Removal is quickly becoming North West Seattle's largest roof cleaning service. Servicing all of Snohomish, Pierce and King County with moss removal, gutter cleaning and window cleaning services for residential properties. Our objective as a company is to create a friendly, efficient moss removal service that will take care of all your roof de-mossing needs. 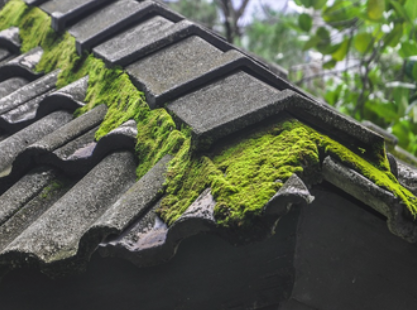 In case you are unaware, moss is very problematic on roofs, and if it is not addressed it will lift the shingles and cause leaks resulting in the need of a roof replacement. Having the moss removed from your roof is a substantially smaller bill, so don't neglect your roof and call Seattle Moss Removal for your free estimate. Consider a full exterior house wash to raise the value of your home before selling or to raise the quality of your home living today. With full perimeter pressure washing, interior/exterior window cleaning and gutter cleaning thrown in as cheap bonuses with your roof washing services you're entire property is guaranteed to shine like new again. We proudly provide individual services like gutter cleaning and window cleaning for residential properties, et cetera, as a fully licensed and insured roof cleaning company. Alongside removal of all dirt, grime, black streaks, lichen and moss, we even kindly doff our shoes to wash interior windows, and then in the backyard with lawn moss removal, driveway pressure washing services. Why not get a free, no-obligation quote now? Get Free Quote Plus Bonus Discount via this Email Contact Form! 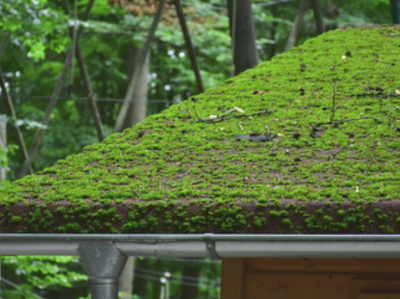 When moss removal is conducted on your roof, it will fall into your gutters. We provide gutter cleaning service when you choose us. We encourage our customers to get their roof de-mossed as the investment goes right back into your home for the long-term! Unfortunately, moss removal is a dirty job, and their is no avoiding the moss falling not only in your gutters, but around your house as well. We make sure to leave the surrounding area exactly as it was before we came, if not cleaner than it was. From Everett to Spanaway, we scrub the moss away! From Issaquah to Lake Stevens, we be window squeegeeing! At Bonney Lake and Mount Vernon, we be overturning moss, lichen, dirt and black streaks on all rooftop peaks! 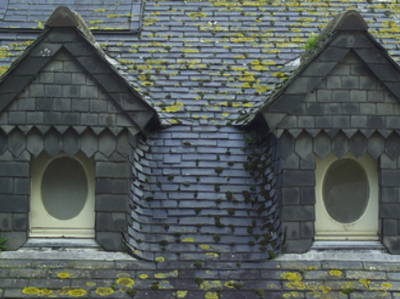 The only sure-fire way of preventing moss on your roof is to apply a solution every two years. Moss thrives in damp, humid areas such as Seattle--unfortunately. Often the north side of your roof will contain the most problematic areas as it gets the least sun beaming down on it, however, this is not always the case. If the east side of your roof is near a tree, the canopy could be blocking the sunlight. We know all the ins and outs of moss removal and so you can be guaranteed success when you hire us. Contact us for any questions or advice! Some moss removal companies keep their moss killer formulas a secret but we'll teach you how to do it yourself next time if you so wish to learn! When it comes to moss problems in Seattle, or any exterior house cleaning service, we got your back! If your anywhere on Puget Sound please don't hesitate to call us because we mean what we say when we say serving North West Washington: From Island County over to Granite Falls, down to Olympia and back up to downtown Seattle with nothing but the best! At anytime request a free, no-obligation quote and see the wondrous service we're eager to provide. Below is a brief list of our major services. In each bubble you'll be beckoned to a link to learn more about our roof cleaning, gutter cleaning and window washing! ​Or learn more about Seattle Moss Removal by clicking here! Make sure you do your research before hiring a roof cleaning company. If the company you hire does not have the proper insurance and/or safety equipment, you're at risk for serious headaches. We're fully licensed and insured to tackle any small or large roof cleaning project. We clean roofs all over Seattle & surround areas, adding value to North West Washington almost every day. We use safe & effective methods to de-moss a roof or driveway, and you can count on Seattle Moss Removal to help prolong your roof's life. Click here to learn more. 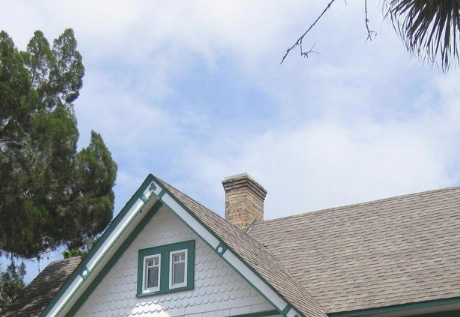 We would love to note that if you are a little further north and are looking for moss removal or roof demossing services Roof Demossing Victoria specializes in moss removal Victoria BC. No matter where you are in the world you can't stop leaves from falling where they please. But what we can do is stuff the buggers in bags and haul them away! If leaves are clogging your gutters or you just want them to be washed because they're moldy, well, consider the job done because we're only a phone call away and our price matching guarantees satisfaction. We offer our gutter cleaning services all-year-round in Seattle so don't hesitate to call us at anytime. We do residential gutter cleaning and more! And because we're insured and licensed all your worries will vanish as you see us get to work on your property. 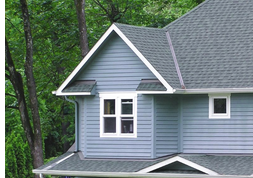 Learn more about our gutter cleaning services by clicking here. It can be hard to find a window cleaner who's able to make sure every single window in your house or store is spot-free. But we guess it can't be too hard if you're reading this right now. We know how to take a window covered in stains and streaks and make it look as though no window is sitting there at all. And we put the same quality of workmanship in our interior window cleaning as we do in our residential exterior window cleaning. If you're looking for the friendliest and most effective window cleaning company in Seattle, you're in the right place. Out of all the window washing businesses out there you'll find very few who can clean your roof as well for a small extra fee. 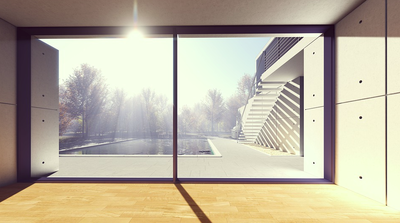 Why don't you click here to learn more about our window washing service? Servicing Tacoma, ﻿Issaquah﻿, Kirkland, Olympia, Spanaway, Lynnwood and all other surrounding areas across Northwest Washington with nothing but the best of all Roof Cleaning Services! Living around the ocean means a damp atmosphere which perforce means the growth of algae, lichen and moss on many surfaces. Seattle Moss Removal is a proud company because as much as humanly possible we rely on pressure washing, wirebrushing and scrubbing with light solutions rather than using harmful chemicals, resulting in an ultimately cleaner job well done! In order to serve such a wide range with so many great services we work with multiple professional teams in Washington and just one of our niches we're proud of assisting is residential window cleaning, including interior and exteririor storm-windows! Consider your rooftops spotless and your windows streakless. We're insured and trained to climb up onto the most daunting of roofs in all kinds of weather, operating with safety as our No.1 concern! An Outdoor Surface Cleaning Company in Seattle that branches out from King County, Pierce County and Snohomish County to all residents in northwest Washington, USA. We love the convenience and certainty of contracts and scheduled cleanings. For families and hardworking homeowners the time one can save by planning a weekly, monthly or yearly exterior roof cleaning can very well pay for itself when they consider the value of their property and the usage of their day. Never see a lick of moss again with our guaranteed moss prevention treatment! Why do we serve such a large area? Because we believe in a convenient service! Navigate through the drop-down menus at the top of this page to see just how wide of an area we service in Washington, USA. Our exterior home washing services cover not only every single district and neighborhood in and around Seattle but all of Pierce, Snohomish and King Counties as well, including Island County and all the way west to Kitsap County, south to Thurston County and north to Skagit County. If you don't see your city, district or CDP on our website but you know your location is somewhat close to one of the ones we've listed than that probably means we service your area, too! We care about providing a convenient service for everyone in Northwest Washington and that means we're often willing to make the trek out to wherever you may be if you decide to honor us with your phone call. Sometimes giving a free estimate to some locations may be more difficult than others, say for example if you live on Herron Island, therefore we ask for your kind patience and understanding if we must either make an estimate over the phone or charge for a more personal quote. With that said you'll still find our prices highly competitive but it's really our end result that makes us stand out. We believe in providing the best service possible and for you that means windows without streaks, rooftops that sparkle and a driveway that looks like freshly dried concrete! Consider calling us now at the location nearest you or feel free to call our generic number to be kindly transferred! Seattle Moss Removal is here for all your exterior house cleaning needs! Contact us anytime!